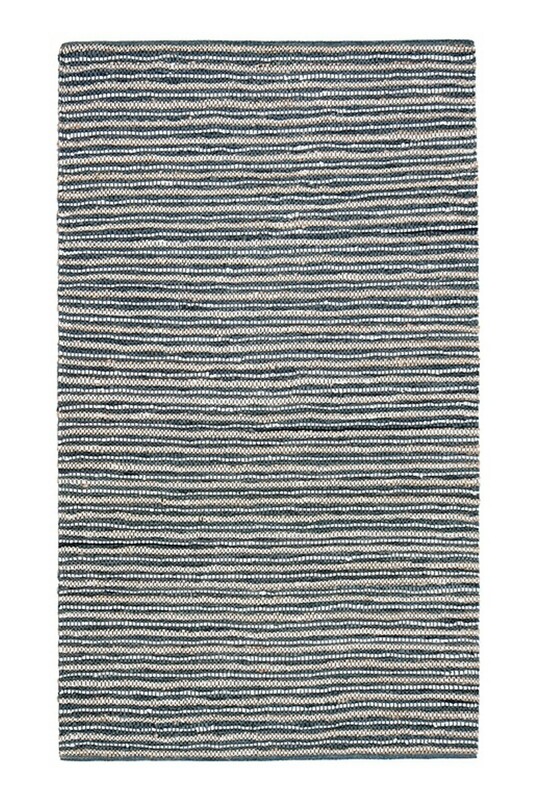 Buy Multi Mixtura Pearl St. AMB0368 Area Rugs Online In USA. 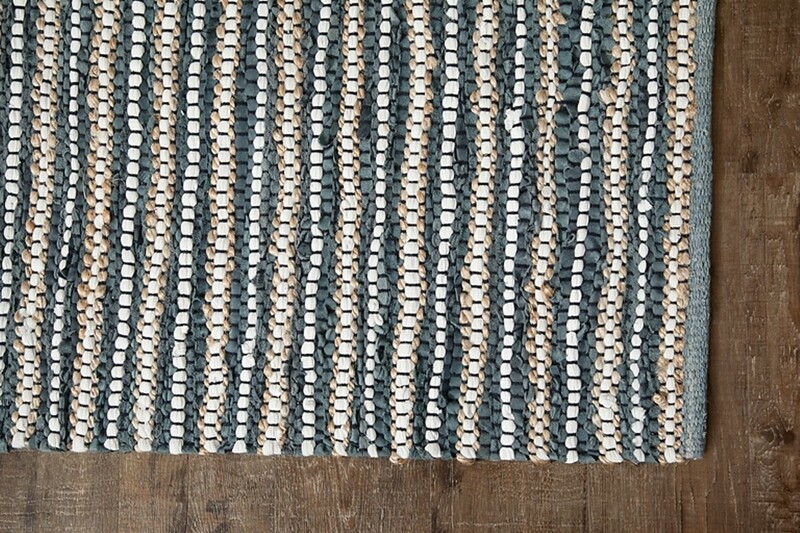 Collection : Mixtura Pearl St. 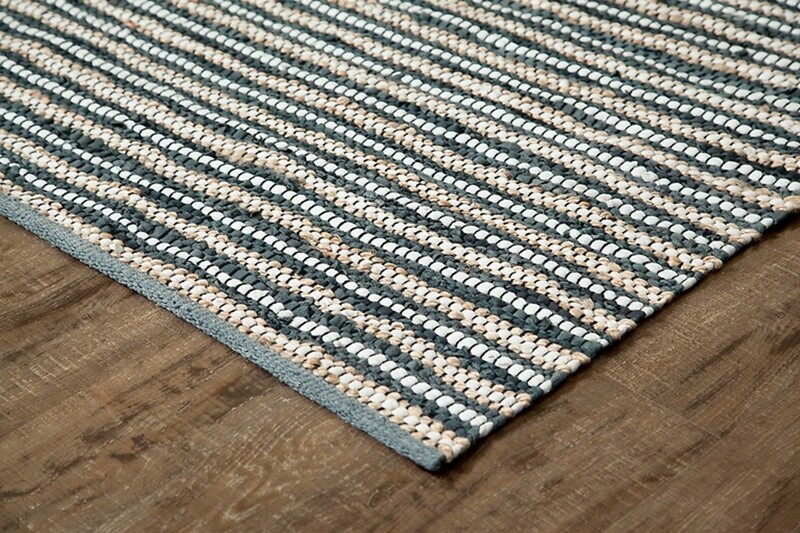 Description : Upcycled leather and jersey cotton from the textile industry and natural jute are combined to create a dynamic feel and aesthetic. 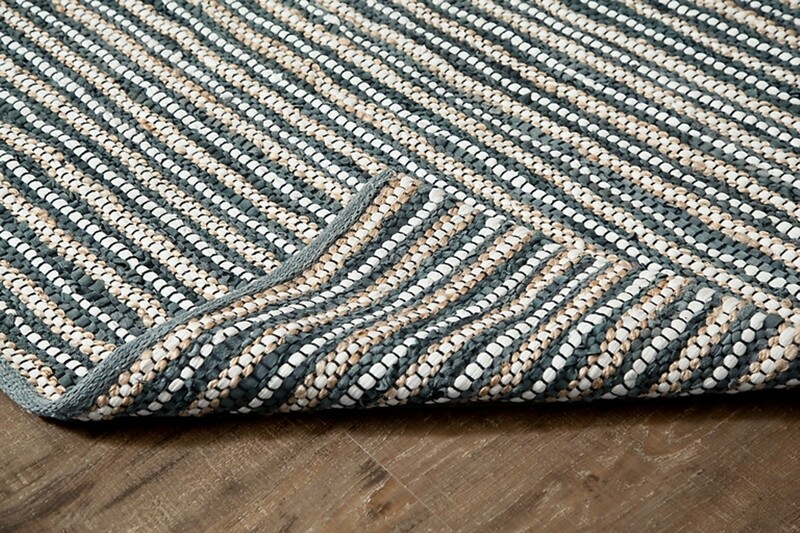 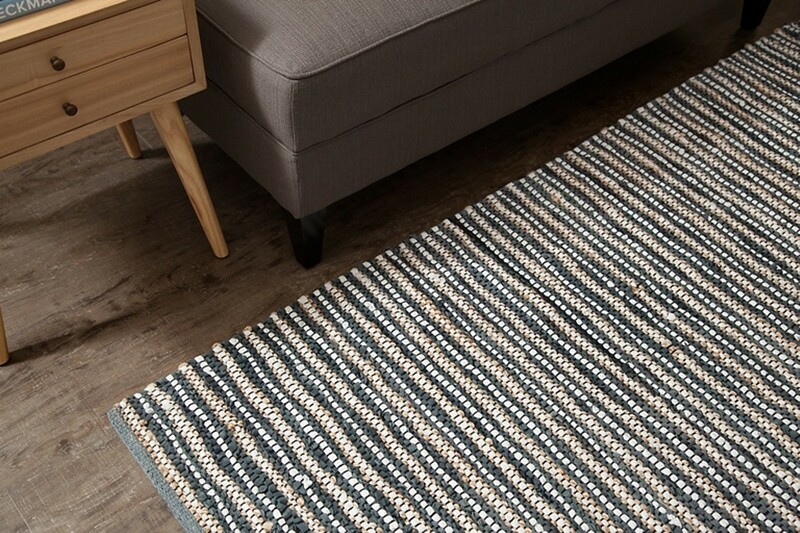 This striped pattern features jute in tans and golds, cotton in white and leather in smoky blues which play nicely with so many types of decor and is exceptionally durable as well. 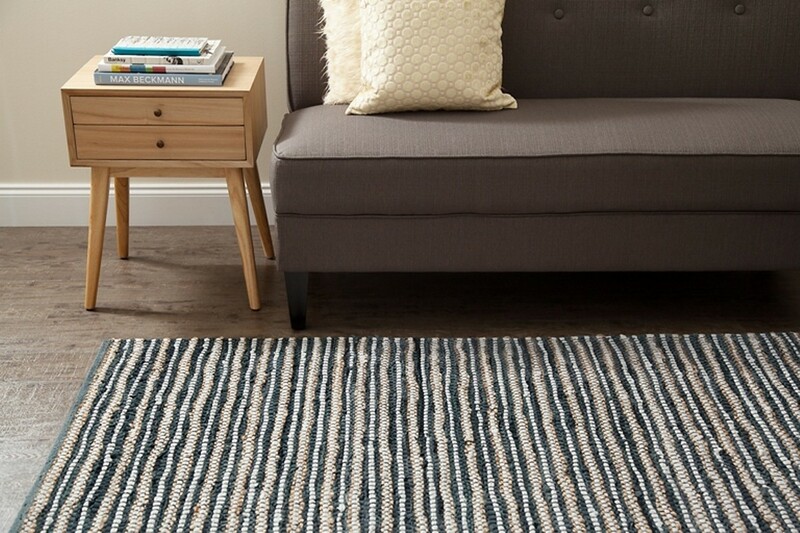 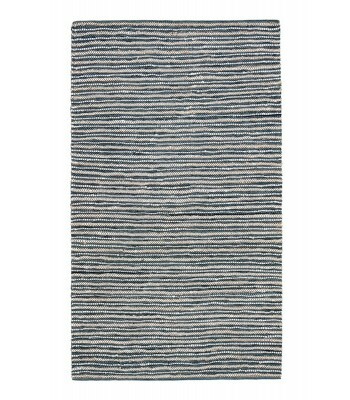 This rug is expertly hand woven by skilled weavers who employ traditional techniques to create this beautiful style.